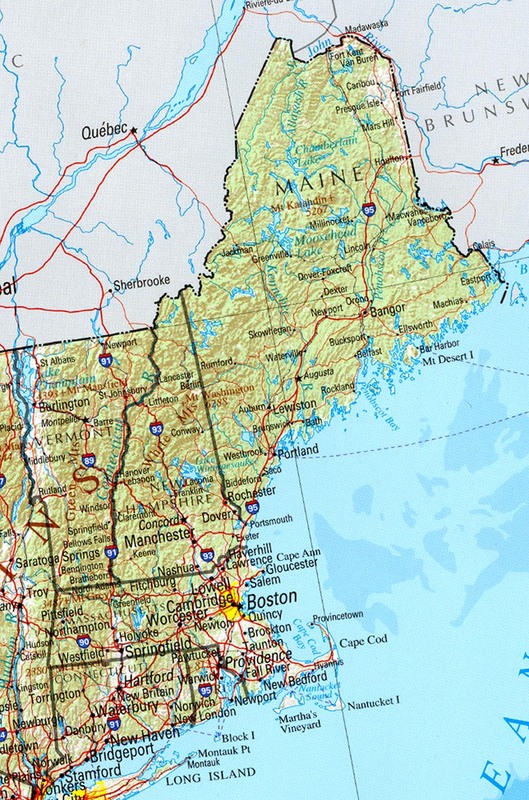 It was Captain John Mason who, after receiving a royal grant for land in the territory, named it New Hampshire after the English county where he had spent some of his childhood. Today also known as the Granite State for its extensive granite quarries, New Hampshire is also a top destination for tourists around New York and New England drawn by a number of recreational, scenic and historic attractions found throughout the state. Family-friendly NH ski resorts in winter, spectacular New Hampshire fall foliage, famous lake resorts, and coastal New Hampshire whale watching in summer make the state a haven for both quick weekend getaways and extended vacations. Top travel attractions include Lake Winnipesaukee in central New Hampshire, the 800,000 acre White Mountain National Forest extending into southern Maine, the historical exhibit at Portland's Strawbery Banke Museum, and reenacted 18th century life at Daniel Webster's birthplace near Franklin. • One of the most historic streets in the US is in the village of Hancock, New Hampshire, where almost every building on Main Street is listed on the National Register of Historic Places. 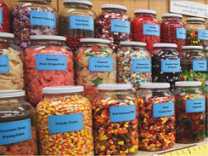 • The world’s largest candy counter is Chutters in Littleton. It is 111 feet long with 800 jars of sweet treats on display. • Famous people who hail from New Hampshire incude actor Adam Sandler, comedians Seth Meyers and Sarah Silverman, astronaut Alan Shephard, and "The Da Vinci Code" author Dan Brown. Visit New Hampshire - The official site with information on statewide attractions including White Mountain and Mount Washington Valley, hotels & lodging, with vacation planner, maps & picture galleries. Portsmouth NH & Seacoast NH - Guide to the Region - A top summer coastal attraction with information on whale watching & scuba diving with additional guides to hotels & inns, shopping, transportation, maps, photo tour, current weather facts. Concord Visitor Information - One-stop browsing for hotels, bed & breakfast inns & restaurants plus what to see and do, links to local attractions including arts & crafts, museums & historic sites. Exeter Visitor Information - Visitor directory with information points of interest, dining, hotels, directions, maps.